ICW Financial Services, Inc. offers a wide array of products for you, your family, or your business. 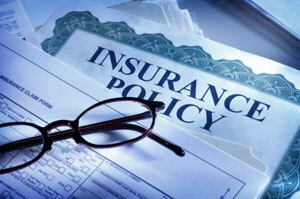 Health insurance plans can provide protection and comprehensive medical coverage. The cost and protection range will depend on the insurance provider, individual ages, and your place of residence. ICW Financial Services takes the time to evaluate all of your needs, as well as your employees needs, to find the best plan available to your group. Dental insurance plans help cover some of your dental care costs such as: routine dental care, regular checkups and preventative services. Life insurance is an important factor in planning for your financial security. There are many uncertainties in life and by purchasing life insurance it can help ease your worry leaving your loved ones with income and estate protection. We can assist in finding individuals and groups purchase long term disability and short term disability insurance plans.Disability insurance offers income protection to individuals who become disabled for short or long periods of time and as a result can no longer work during that time period. We are licensed to sell Medicare Supplement plans and Advantage plans with various companies. We can assist you in choosing the right plan to fit your health needs. Purchasing long term care insurance helps ensure that any costs associated with your care during your illness are covered, This lessens the financial strain on yourself and your family. Copyright 2015 ICW Financial Services, Inc.. All rights reserved.